Villarreal and Nigeria winger Samuel Chukwueze scored his team's only goal in a crucial win against Girona at the Estadi Municipal de Montilivi on Sunday evening which lifted the Yellow Submarine to the 15th position in the Spanish La Liga table and that performance caught the attention of Arsenal legend Laureano Bisan Etamé-Mayer. Speaking on La Liga TV after Sunday's games in the Spanish top flight rounded off by Valencia's 3-1 home win over Moses Simon's Levante, the 2000 Africa Cup of Nations winner with the Indomitable Lions of Cameroon praised the fantastic goal by the Nigerian. "I will pick the goal scored by Samuel Chukwueze as my moment of the day (in reference to Sunday matches)," the Cameroonian enthused. "For the fact that it was a massive game and such a goal from a 19-year-old. It was an important win, a massive three points for Villarreal, for their survival hopes. 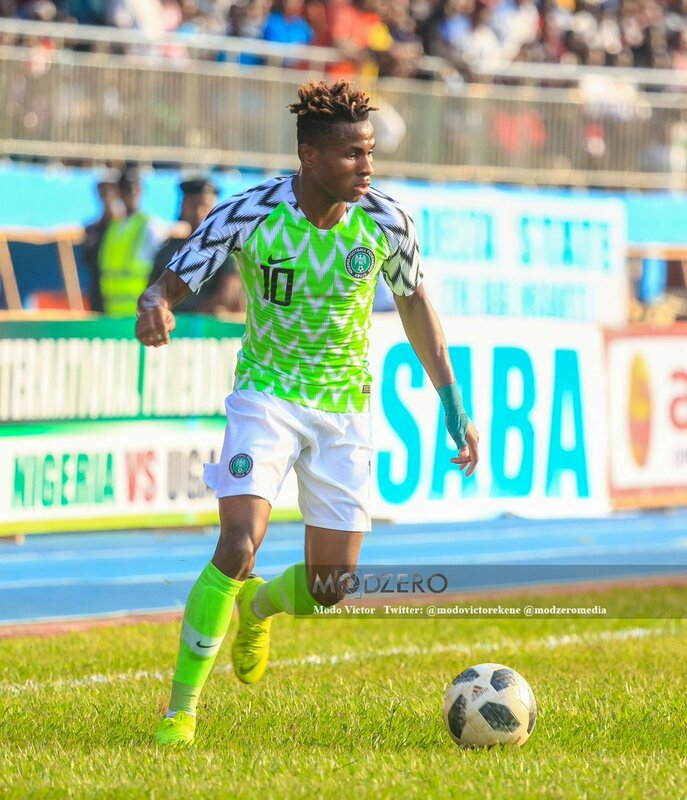 "Such calmness from the lad Chukwueze. He showed maturity, what a future for this lad," the member of the Arsenal Invincibles went on. "Villarreal had pace upfront and were much better than Girona especially in the second half," Lauren Etame who also doubles as match commentator for La Liga TV concluded. The 7th minute strike was Chukwueze's fifth league goal of the season albeit he has three more in other competitions for the first team.